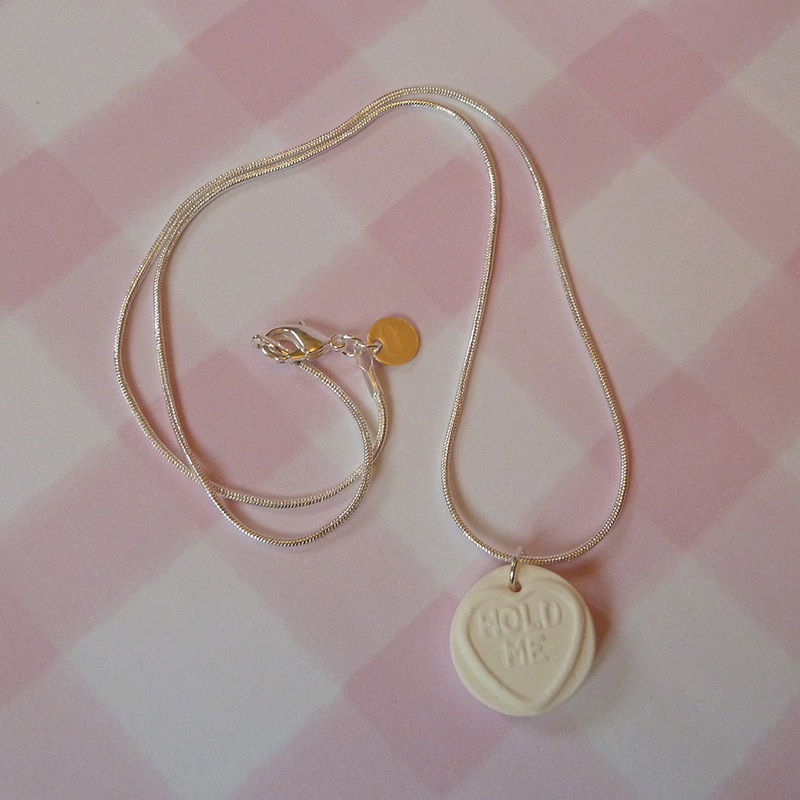 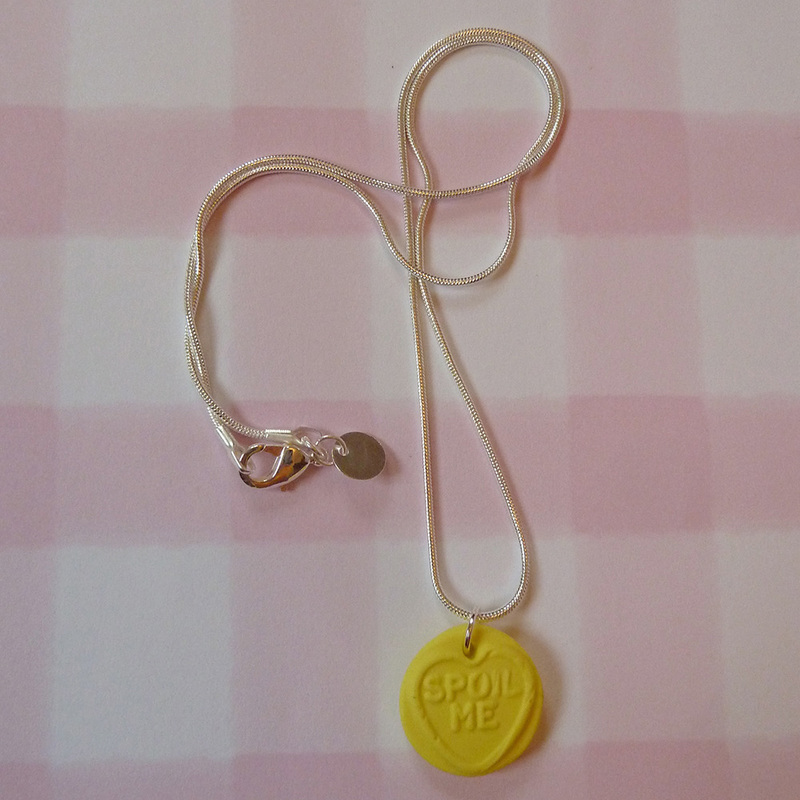 This sweet necklace features a cute love heart clay charm on a delicate silver snake chain. 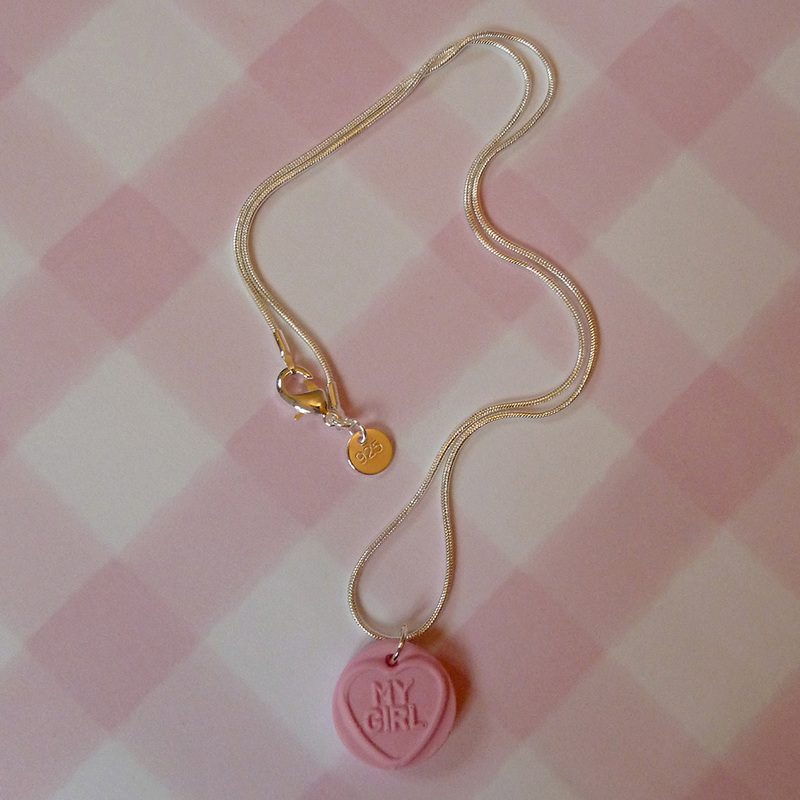 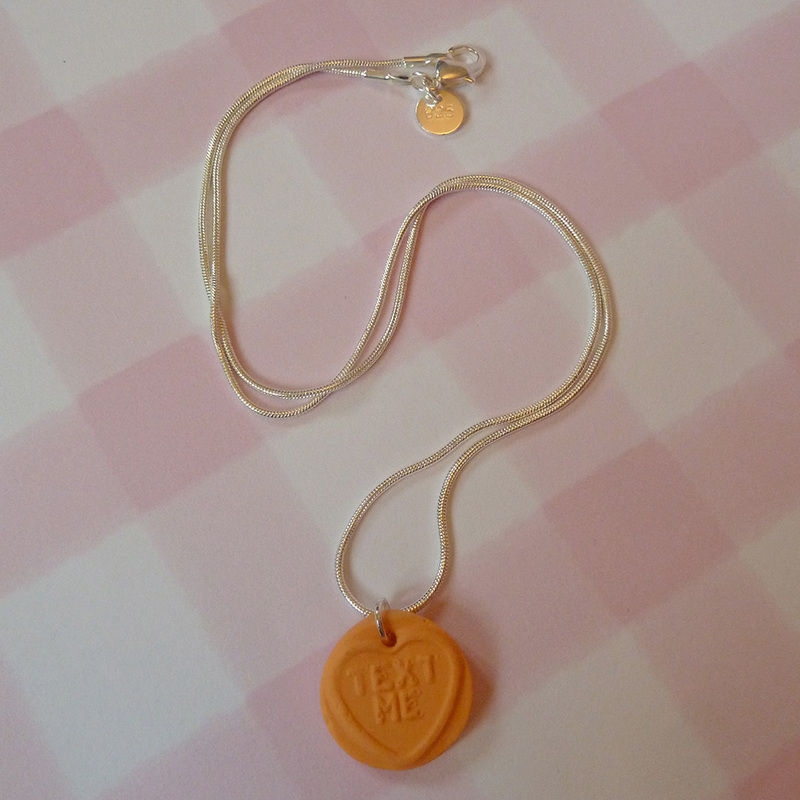 The Love Heart charm looks good enough to eat, but no nibbling!! 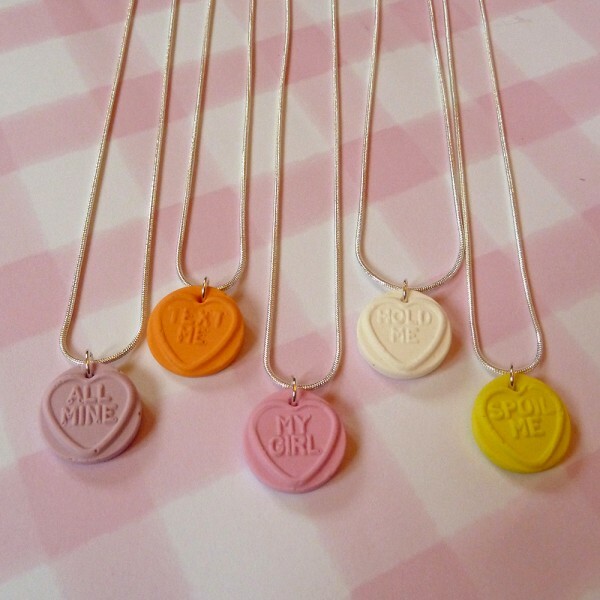 Choose from Strawberry, Violet, Lemon, Orange or Vanilla flavour at the checkout, or leave it blank for it to be a surprise.